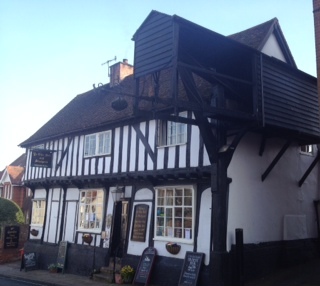 I am an Essex girl, but live very close to the Suffolk border and absolutely love to venture into some of the beautiful market towns: Woodbridge, Bury St Edmunds, Saxmundham, Lavenham, Clare, Long Melford – I could go on! They are all lovely interesting little towns and well worth a drive out if you aren’t too far away. Yesterday, we decided to take a trip to Woodbridge. What a beautiful place. It is sited on the River Deben, close the Anglo Saxon burial site at Sutton Hoo. 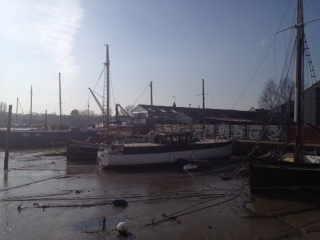 You can walk past all the little boats along the quay to see the tide mill, which is the last working tide mill in the UK. There are lots of nice shops and cafes, including some great (but pricey) charity shops. We went in them all! St Mary’s church is worth walking to – it is a lovely building and there is often something going on inside it. The cottages that overlook it must have one of the best views in town. We had a peep in the estate agents window, but you don’t get much for your money if you want a character cottage in Woodbridge. That will have to wait for my lottery win I think. 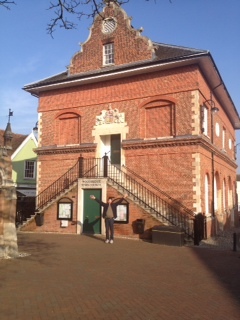 Mr S was also rather impressed with Woodbridge town hall, which is a super old building in the centre of town. We took some good pics. 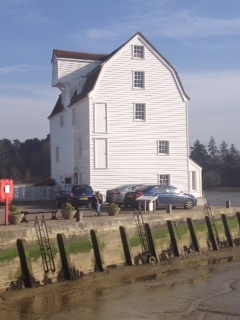 Enjoy – and if you are ever in Suffolk, take a detour! Woodbridge is our nearest town that’s bigger than Saxmundham and Leiston, so we often go for a tour of charity shops. It lacks a good supermarket in town, Budgeons is Very expensive. But the big Tesco at Martlesham is not too far away. It’s one of the places on our list of “places we might live when we can’t manage the smallholding!” but not in a character cottage in town but a bungalow on the outskirts. I thought you might like this post 🙂 You are so lucky living where you do!